Imagine having a retail store where customers keep coming round the clock and buying stuff they like without you having to explain which one is a perfect option for them. Every street in and around the area has someone helping them reach out to your store. No matter if you’re present at the store to attend customers or busy watching your favorite rugby match with your loved ones — the number of incoming customers doesn’t slow down. At the end of the day, you make more money than most other retail stores in the surroundings, that too without compromising your hobbies or family time. 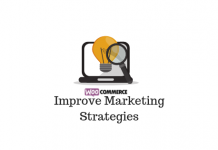 This is where WooCommerce SEO will really help you. At a time when people use Google for everything they wish to purchase, it’s crucial for you to look into the search engine visibility status of your online store and make all the possible corrections well in advance to not miss out any potential revenue opportunity. The right SEO can help you do this comfortably. 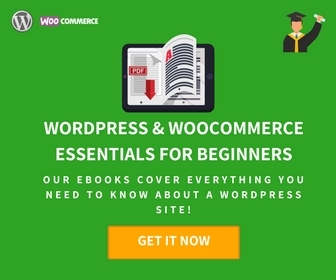 Once you optimize your WooCommerce store, all your products start ranking high on Google and getting customers’ attention whenever they look for similar products. This leads to more site visits, better conversions, higher sales, and off-course bigger revenues. In case you want to make 2019 the best year for your venture, then set things into motion without any further delay. Learn how to do SEO on your WooCommerce store the right away and rank it on Google in a hassle-free manner. In this guide, we explain you a step-by-step process to forge ahead and get desired results. Google released multiple algorithm updates during the last five years. So, the tactics that used to work before 2014 don’t work anymore. Unless you have a clear idea of the latest SEO trends and search engine policy changes, it’s next to impossible to rank your online store. This is where the need for an all-in-one SEO tool like Rank Math arises that is capable of handling end-to-end SEO requirements of any WooCommerce store. Developed by MyThemeShop, Rank Math makes WooCommerce store optimization incredibly easy and fun. In fact, once you set it up, you don’t have to look for any other SEO tool to improve your site’s rankings. It’s great if you’ve used Rank Math earlier and are aware of its benefits. But if not, you can pay heed to the points mentioned below and learn how it can help rank your WooCommerce store. Most users from non-technical backgrounds find it tough to install SEO plugins on their stores due to their complex setup process. Thanks to the clean interface and easy setup of Rank Math SEO that you’ll never have to face any such problem with it. As soon as you install Rank Math on your store, it starts analyzing everything and suggests recommended actions accordingly. You just need to follow them to finish the installation and setup process. Once you complete the setup process, you can begin optimizing your store. The first step in this regard is to write attractive product descriptions that can capture visitors’ attention the moment they land on your website. Instead of relying on any tool for this purpose, you can either write product descriptions yourself or hire a talented writer who knows his way around with words and can create compelling product descriptions. Make sure these product descriptions have relevant keywords placed in them at the right place and in a proper density so that when someone searches for any product with the same keyword, your store can show up in results. For keyword research, you can use Google Keyword Planner, Ahrefs or Semrush depending on your comfort level with them. Since the Rank Math is already installed, you can do a ‘search trend’ for various buyer intent keywords and even compare them to see which one has a higher demand. This Google Trends integration feature of Rank Math will soon be available for all the users. You can also use the content analysis feature and let Rank Math help you with KW recommendation to maximize the traffic. It’s an inbuilt feature that requires no technical knowledge from your side. When it comes to page titles, you need to act wisely and choose unique titles for category and product pages. To avoid any sort of mix-match or confusion, you can merely select broad terms for category pages and specific terms for product pages. For example, ‘Mobile & TV’ can be a category page title whereas a particular model name can be put as a product title. Is Google Facing Issues While Crawling Your Store? Initially, as you set up your WooCommerce store and list various products, there are high chances of 404 Page Not Found, 301 Moved Permanently or other similar errors. Rank Math keeps on looking for all the pages with such errors and informs you as soon as anything like that happens, ensuring that you can fix them immediately before they affect your customer experience. Instead of relying on random product photos available on Google, you should do a proper portfolio shoot and put HD images of all the relevant products on your WooCommerce store. This is how all the leading stores operate when it comes to putting pictures of products they wish to sell online. That said, with this much of hard work already put into effect, you wouldn’t want to miss out any opportunity to rank these images on Google. The best way to do that is to optimize them with proper alt tags. Rank Math does this in an autopilot mode. Even if you forget, it adds ALT tags and title attributes to all the images uploaded on your store. In the long run, this practice can drive a considerable amount of organic traffic to your WooCommerce website. 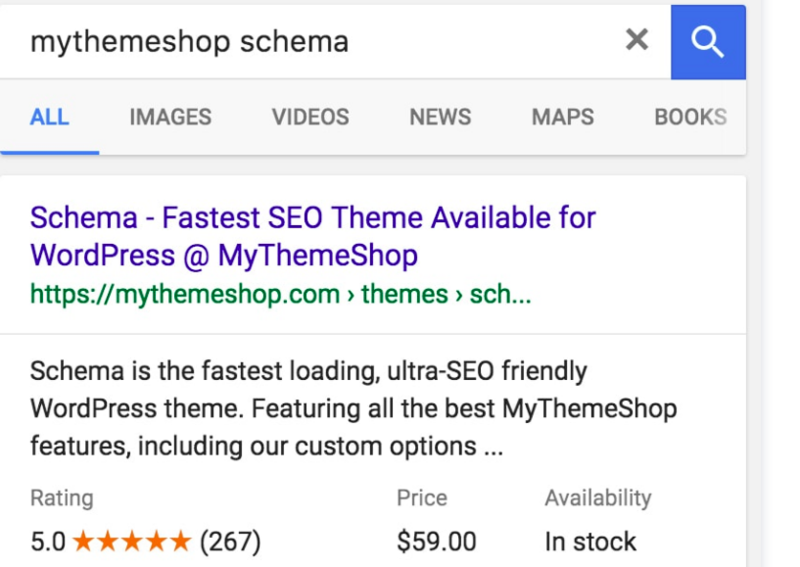 Whenever you search for any product on Google, you are most likely to see top 3-4 results with rich snippets, i.e., star rating, price, availability, and other information attached to the product page. These rich snippets increase any site’s CTR by a significant margin. Usually, it takes a lot of efforts and technical knowledge to create them; however, with Rank Math, you can add rich snippets to product pages in just one click. Do this and make users click on your store’s link whenever it pops up in search results. 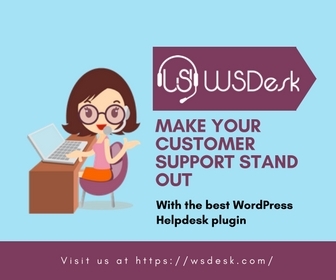 None of the steps mentioned above will get you desired outcomes if you don’t opt for the right WordPress theme for your store. So, instead of settling for a random free theme, pick a WordPress theme designed exclusively for WooCommerce stores. It should be attractive, SEO ready, mobile friendly, and most importantly lightweight. If you focus on these parameters while selecting a WordPress theme for your store, you’ll never have to face any problem in the future. If possible, read multiple WordPress theme reviews before making the final call to see whether it’s worth trying that theme or not. Breadcrumbs links appear on top of all the product pages. They help users to know which category page they are on now and guide them to go back to the previous page with ease. They also help your store receive more traffic from search engines. 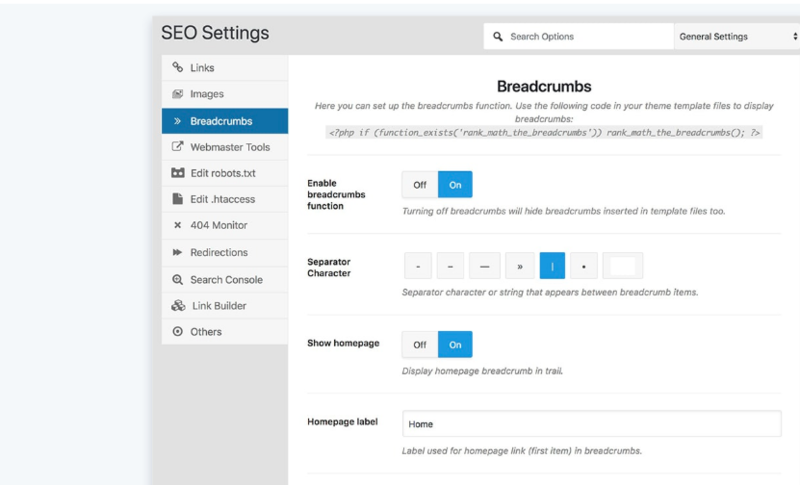 Rank Math has an in-built breadcrumbs feature that lets you customize your breadcrumbs symbol and makes it visually eye-catching. Use it and witness desired outcomes over time. 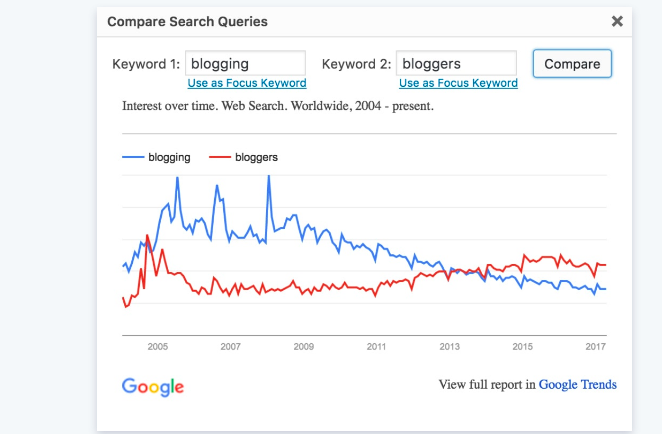 It’s one of the underrated SEO features that affect search traffic by a considerable margin. Google allows upto 160 characters in the meta descriptions, so anything beyond this limit is of no use. Also, if you have the focus keyword inserted in the meta descriptions, you can increase the likelihood of your product pages appearing on the first page whenever users search for any particular term online. All in all, writing meta descriptions isn’t as simple as it sounds. Instead of attempting to write them manually and wasting hours together, use Rank Math and finish the job with utmost ease. It previews meta titles and descriptions for you so you can have an idea of how they’re going to appear in search results. Not only this, you can change these meta descriptions at a later stage without writing any new line of code, something most other SEO tools fail to provide. Usually, complex site navigation might confuse users and leave them undecided as to which page they should browse to purchase their favorite products. And if they don’t find what they are looking for, they immediately exit from your WooCommerce website. This is why site navigation is considered as one of the most important ranking factors for online stores. You can understand it this way — the simpler the site navigation, the lower is going to be the bounce rate. Besides, it improves the on-site user experience and prompts visitors to spend more time online, thereby indirectly boosting your search rankings. So, keep it as clean and straightforward as possible by placing the most crucial page links in the main navigation and other page and category links in the footer. Refer to amazon.com to understand how navigation works. 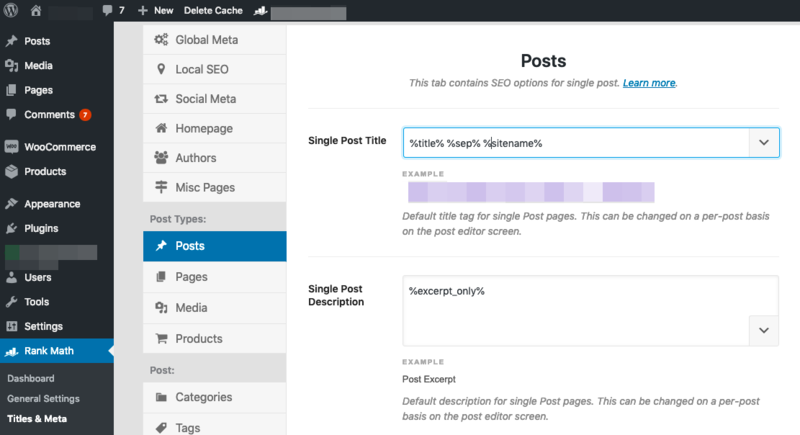 Instead of continuing with the default WordPress permalink settings, check out different options and choose the one that enables you to place your focused keyword in the URL section. Typically, the URL structure on WooCommerce stores is this —‘yourdomain.com/?product=111′ where ‘111’ is the product ID. There is no place for the focused keyword in this URL. So, you can rather switch to ‘Post Name’ in the ‘Settings » Permalinks’ section of your store to make it more SEO friendly. Just like having keywords in the URL, you should also focus on keeping them as short and clean as possible. Sometimes, having a category base might increase your URLs length unnecessarily. So, check what other’s are doing to get positive results and make changes in your store accordingly. If there are hundreds of products listed, changing their URLs manually can lead to many 404 error pages, so what you can do is use Rank Math’s WooCommerce feature in the SEO settings and choose an appropriate option for a site-wide change. The task that normally takes hours of hard work can be finished within a matter of a second right from your dashboard. Just have your preferences right and choose an appropriate option to make your URLs look short & clean without reducing their SEO viability. There is no way you can grow your online store if you don’t know your visitors, i.e., where they come from, what’s their age group, which device they often use for shopping, their preferred language, and other relevant facts about them. Usually, acquiring all this information isn’t possible, but thanks to the ‘Google Analytics’ tool, you can access this data and use it for your benefits. All you need to do is set up Google Analytics on your store, and it will take care of the rest. 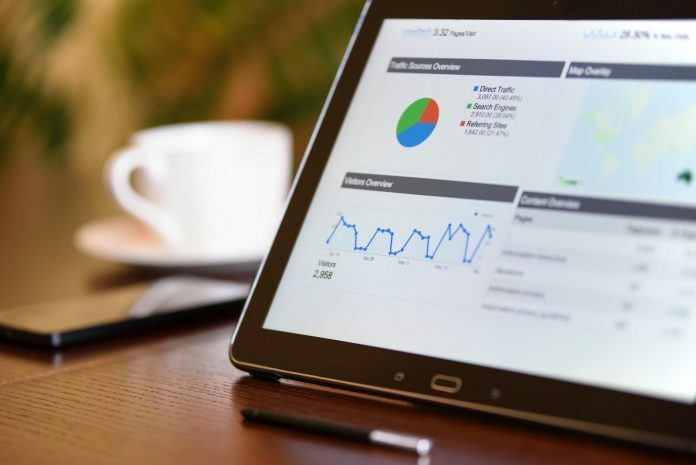 The data collected by Google Analytics can be used for cross-selling, retargeting and up-selling products and services to the existing customers. It can also be used to see which product pages are getting the highest exposure so that you can improve them further or create more similar pages for better results. Amazon and other leading e-commerce companies invest millions of dollars just to keep their website’s loading time under one second. Learn from them and do everything possible to keep your WooCommerce store’s load time as minimum as possible. Apart from having a lightweight WordPress theme, focus on not installing too many unnecessary plugins, scripts, and codes. Also, connect with a skilled web developer for the initial setup in such a way that your store can load fast without compromising its UI/UX. Earlier, online stores and niche sites used SSL certificates to strengthen their security; however, it wasn’t mandatory to do so. 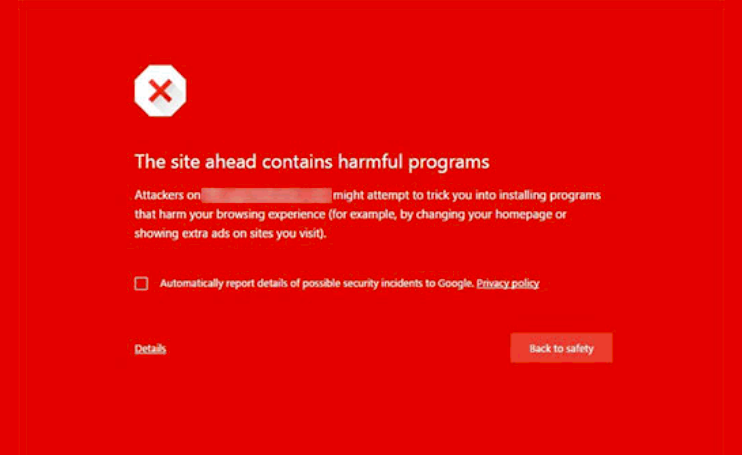 But things have changed now as Google has started showing ‘Not Secure’ warning on all the web properties that don’t have SSL certificates installed. So, install an SSL certificate on your store immediately and increase its chances of ranking high on Google and other search engines by a significant margin. This is the first step to improve your site’s security; however, there are many other steps that need to be followed to ensure that your store doesn’t fall prey to brute force attacks carried out by cyber attackers. For that, you can follow this step-by-step WordPress security guide and implement all the security measures without any further delay. Ranking a WooCommerce store and keeping those rankings intact for a long time is a tricky task. However, if you follow the right strategy, this feat is achievable. All you need to do is keep in check all the SEO suggestions stated above without any failure. If you do this, you can rank your WooCommerce store and improve your bottom-line as well as profitability in a hassle-free way. 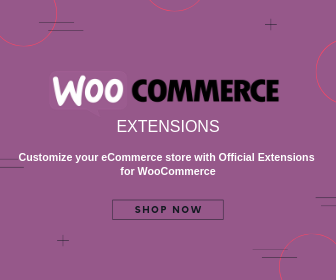 Just in case you have any doubt about WooCommerce SEO or want to add anything to the steps mentioned above, share them with us in the comments section below.